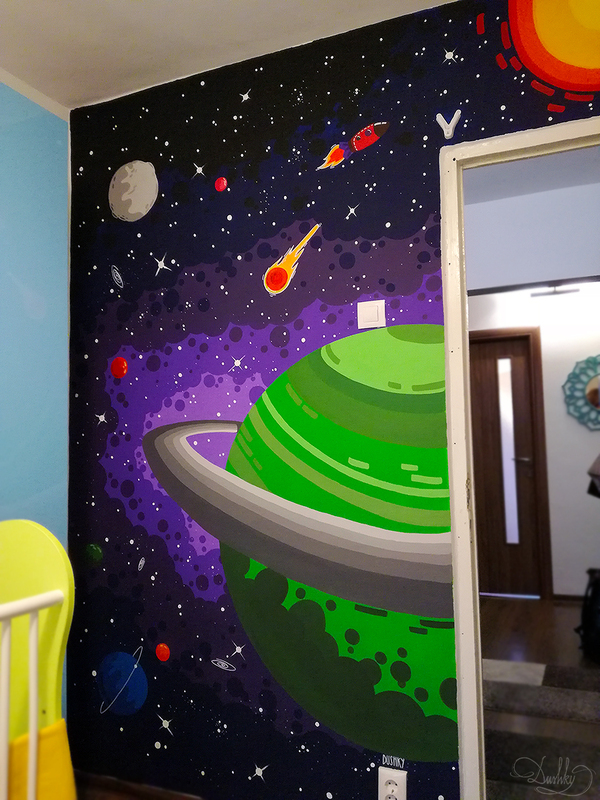 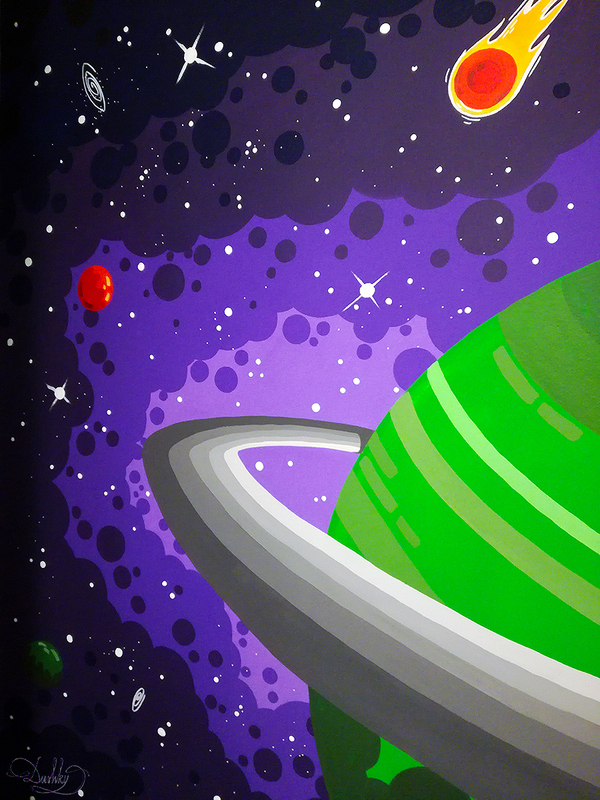 It's been quite a while since I've drawn on walls, but a friend of mine wanted something done for her babys' room and when she suggested planets and stars I was hooked. 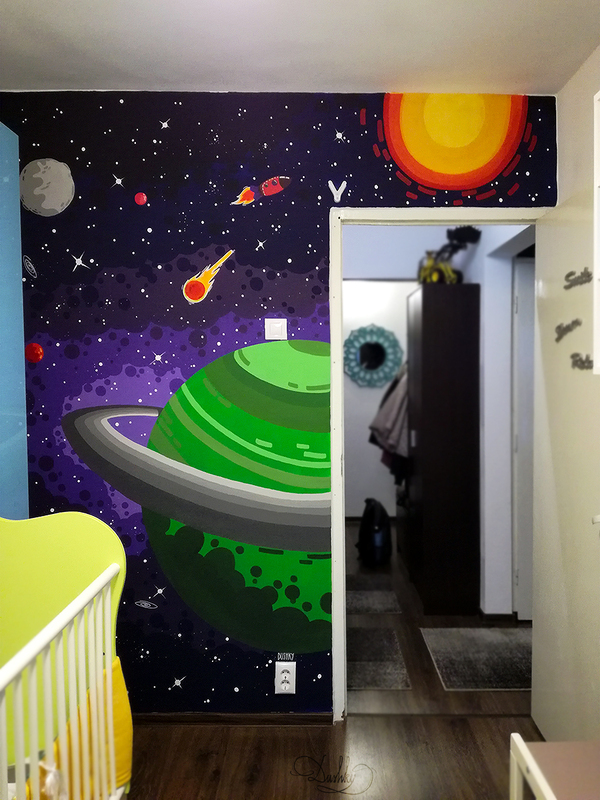 I wanted to keep the wallart simple, colourful and somehow fit for a baby but also cool for when he grows up. 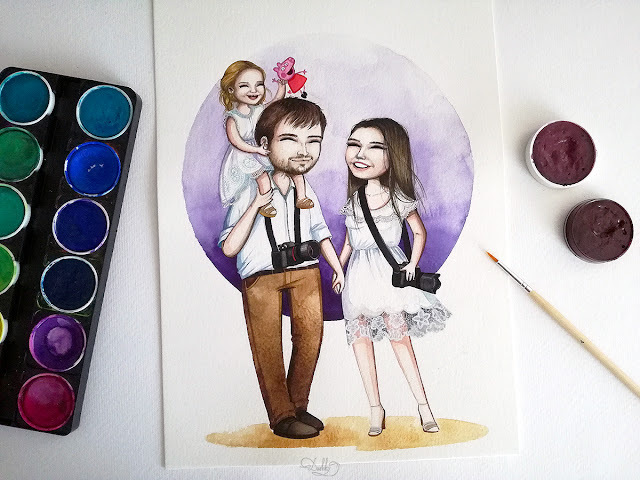 And I tested some new colours and techniques, so I can say it was a learning experience as well. 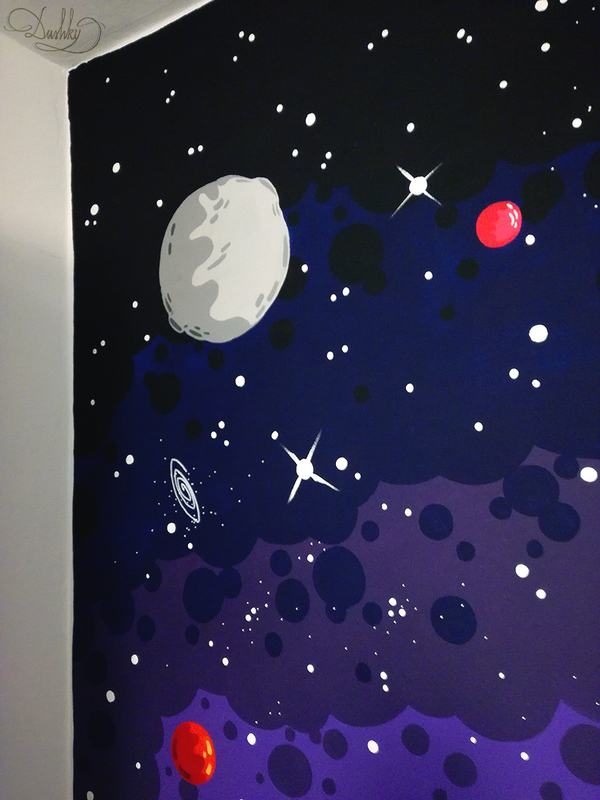 I've also been saying for the longest time I wanted to do a mural in my own home but you know how those personal projects work out, they're always left on the back burner. 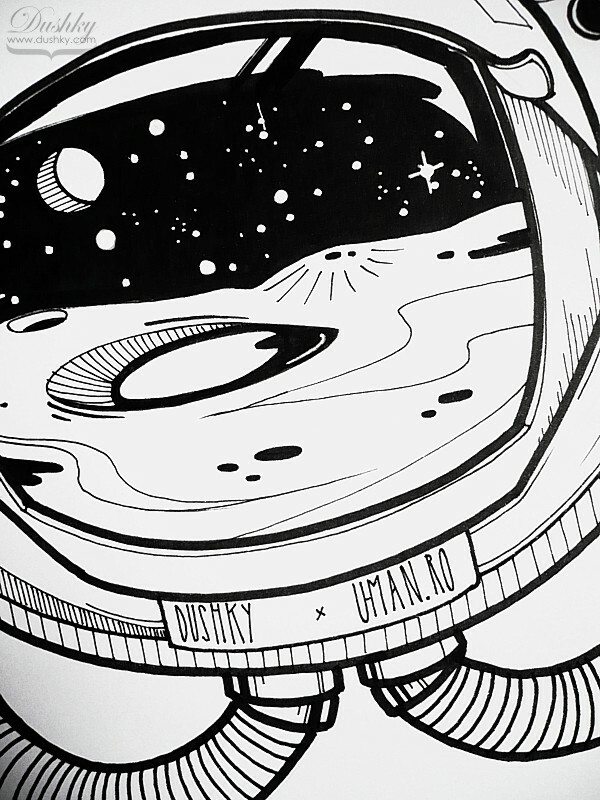 Hopefully I will do is someday though.